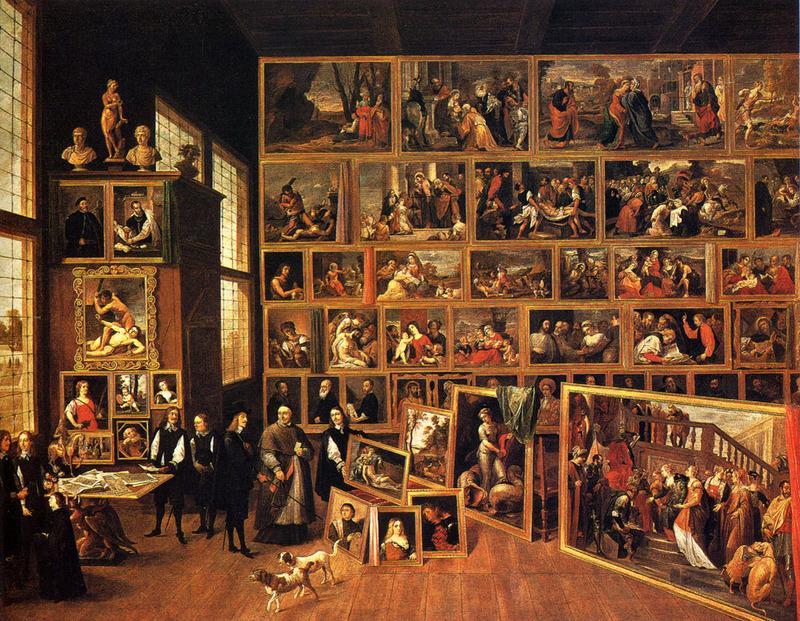 Technically, this is just one painting. Watching the 2012 film Hitchcock, about Alfred Hitchcock and the making of Psycho, has given me another chance to reflect on movies that are about making movies. Perhaps no other artistic medium has made the medium itself the subject more than the cinema. Many such films, are overt and direct in their depiction of the subject, while others are more metaphorical in their treatment. The film Hitchcock, a serviceable if by the numbers entertainment, is technically a biopic, but of course, when the subject is a film director, the subject is also film. I think that this situation may be the case for two reasons, primarily. The first reason has to do with practicality, and the second with imagination. First, films have a unique capability for showing us the technical means of the medium. It is not easy to “show” a book being written in the same way as you can show a film being made. Nor would it likely be interesting. The proliferation of “Behind the Scenes” and “Making of” documentaries on DVDs speaks to the perrennial interest in the technical means of making a movie. Because you can easily take a camera and point it at the other cameras, (or the editing room, or the writer’s room, etc.) making film the subject is a relatively easy process. And that a film progresses through time, rather than being static like a painting, allows for the depiction of the technical means to become a narrative. But that doesn’t entirely explain the prevalence of such films in commercial and art cinema. I think there is additionally a convergence with the modern era’s fascination with technology and technical progress that makes these films so attractive. The cinema is the first narrative art medium that arises from what we consider modern technology. And that is inherently interesting to the modern mind in a way that a brush or pen is not, apparently. The second source of appeal is the often cited association of the medium of films with the notion of Dreams and Imagination. Our dreams contain the fantastic, and films (through the application of increasingly sophisticated technical means) can allow us to see anything we can dream up, but while awake. This observation is so commonplace, that it should not be surprising that movies about movies often involve a substantial amount of dream-imagery. Even in Hitchcock, one of the conceits was that the master director had a series of imaginitive conversations with the real-life killer upon which the character of Norman Bates in Psycho was based. Even cartoons have gotten into the act pretty frequently. Besides such live action/animated hybrids such as the Fleischer “Out of the Inkwell” series, where the creator and his drawn creation interact, there were many shorts created that supposedly depict the process of making cartoons. Of course these depictions are rarely more than fantasias of strung-together gags, but they still instance the self-referential theme that seems to cross all genres of film. Sunset Boulevard (1950), Billy Wilder. The transition of film from the Silent era to the era of Talkies was as painful as the transition of childhood through adolescence. This black comedy/film noir includes legendary actors and directors, some playing themeselves, and others playing fictionalized versions of themselves. Buster Keaton has a small role, and Erich von Stroheim portrays a butler who is actually a failed film director. One scene involves a visit to the set of a Cecil B. DeMille epic film. Hugo (2011), Martin Scorsese. Nominally an adaptation of a (amazing) children’s novel/graphic novel, The Invention of Hugo Cabret, it is a love letter not only to the pioneering cinema of Georges Méliès, but to the whole medium of film, particularly in the way that technical innovation intersects with the imaginative capabilities of the movies. Sherlock, Jr. (1924), Buster Keaton. Here again dreams and film interact. Buster Keaton portrays a film projectionist who lives out a fantasy of being a detective as his dream-self enters the film he is showing. Who Framed Roger Rabbit (1988), Zemeckis. The idea that Cartoons live in the Real World is as old as Cartoons themselves, but here the fact that they are also drawings is given a playful ambiguity in the script. We are again taken behind the scenes on a film set, but this time is the filming of a cartoon, if cartons were actually made on a sound stage like live action films. The Artist (2011), Hazanavicius. The 2012 Best Picture Oscar winner is a silent movie about (again) the end of the silent era. Close-up (1990), Kiarastomi. See here for my thoughts on this film as well as Orson Welles’s F for Fake. 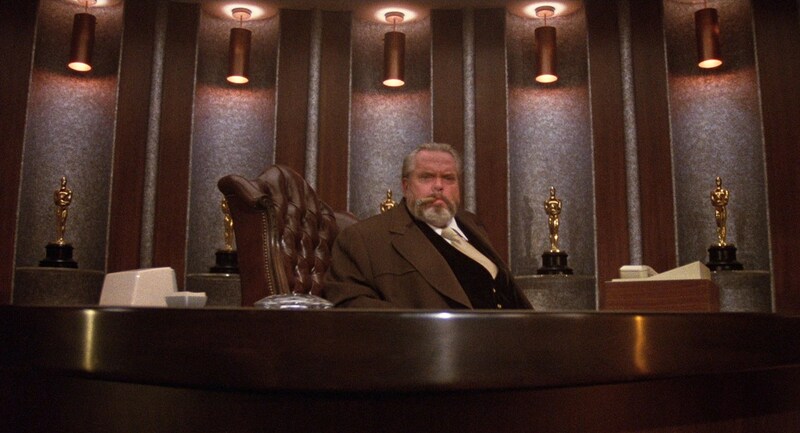 Who says Welles only got that one Oscar? Other films about films that I have not seen, but hope to include The Player (Altman), 8 1/2 (Fellini), Day for Night (Truffaut), and Clouds of Sils Maria (Assayas). In the comments, please share any movies that you think I should not overlook in this category! Posted on July 8, 2015 January 10, 2016 by Joshua Wilson	Bookmark the permalink. ← What kind of movie is this, anyways? I thought of that one too, but it’s been so long since I’ve seen it that I wouldn’t have a substantial thought to share. Maybe you can talk about it a bit. Now, more topically, I enjoy “Me and Orson Welles,” which I believe you have seen. While not a classic in any right, it is still charming and enjoyable, and mostly very well done. Christian McKay is rather brilliant as Welles, and Efron isn’t utterly terrible or distracting. Also notable to me, though neither charming nor exactly “enjoyable,” is “Adaptation” (2002). Likely one of the most aptly titled films ever made, it is so bizarrely self-referential and inconsistent that it can be off-putting to certain tastes, as even characters change from scene to scene. However, this is obviously the films point: it is really about the struggle to write a great screenplay, especially given the public’s (or Hollywood’s, perhaps) affinity for style over substance. Well cast and well acted, even by (gasp) Nicholas Cage, in one (or two, really) of the few solid roles he has had since Leaving Las Vegas, I like this filma bunch, despite (or perhaps even because of) it’s highly non-traditional story arc. PAY NO ATTENTION TO THE EDITOR BEHIND THE CURTAIN! Yeah, I think I may have actually introduced you to that movie. I really like it. It’s worth it for the reproduction of Welles’s Julius Caesar sets alone. And regardless of the accuracy of the details in the backstage politics portrayed in that particular stage production, it gets the feel of putting on a show right, and I think, substantially, the feel of Welles as a man and an artist correct as well. THESE AREN’T THE EDITING ARTIFACTS YOU’RE LOOKING FOR. MOVE ALONG.